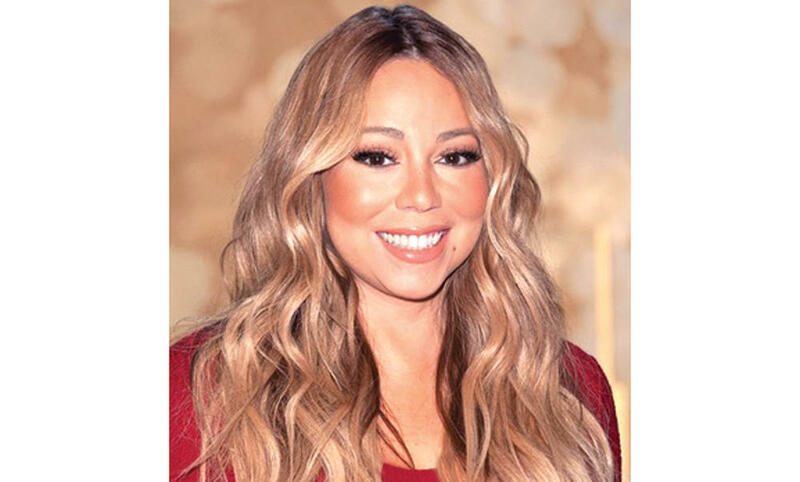 LOS ANGELES: Mariah Carey’s new reality show sees the larger-than-life singer trying on wedding dresses and wrestling with a decision to postpone her marriage to Australian businessman James Packer. Packer appears briefly in the first episode of “Mariah’s World,” when the couple enjoyed happier times in the spring vacationing on yachts. Carey is seen trying on a wedding dress, and debating whether to wear a tiara. 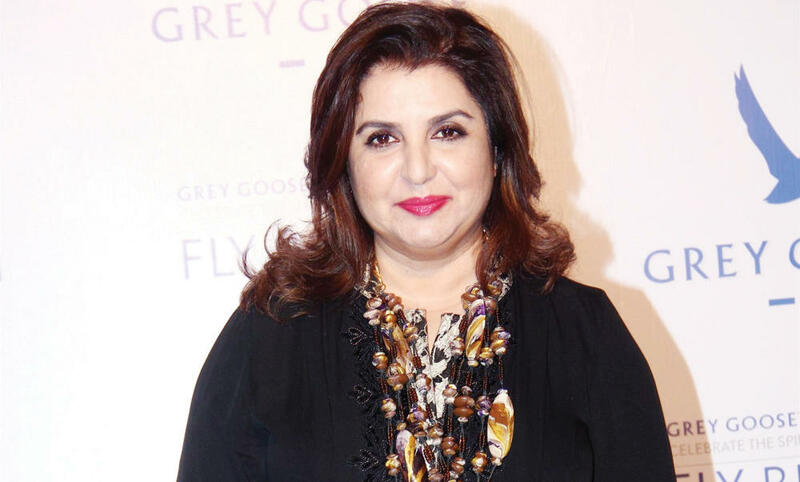 MUMBAI: Farah Khan is a multi-talented personality who successfully wears multiple hats, as a director, choreographer, actor, producer, writer, judge and a show host. No other filmmaker has given wings to their dancing passion the way Farah has. Remember, last year Farah was in Cairo, Egypt to receive the Faten Hamama Award for excellence in cinema at the Cairo International Film Festival (CIFF). This year too, the 38th CIFF kicked off with an opening show which paid a special tribute to Bollywood celebrities. The photographs of B-Town talents like Shah Rukh Khan, Farah Khan, Amitabh Bachchan and Salman Khan were shown in a video made specially for the event. Farah went completely nostalgic when she came to know that the organizers gave special mention to her yet again at the festival. As per news reports, Farah was so bewitched by Cairo’s warm reception and geniality that she has discussed with her production team to shoot an important portion of her next film in Egypt. An insider revealed that she can’t wait to discuss the schedule and shooting locales with producer Shah Rukh Khan. If rumors are to be believed the movie requires two young actresses. Farah is keen to work with Alia Bhatt and Parineeti Chopra this time and the plot is all about the two best friends on a foreign trip. Farah has already zeroed in on 3-4 outdoor locations. Only King Khan’s approval on the film’s script is required. NEW DELHI: Next time you’re at the Taj Mahal, find yourself standing on a precarious cliff or see an approaching train, maybe just enjoy the moment rather than trying to capture the perfect selfie. These are just three of the ways that 76 selfie-takers in India have lost their lives, according to a study published by US-based Carnegie Mellon University and Indraprastha Institute of Information Technology Delhi. Using special search techniques to trawl the Internet and social media, the researchers identified 127 confirmed selfie deaths since March 2014. They blamed people’s desire for more “likes” and comments on social media for driving increasingly risky selfie-taking. “(The) clicking dangerous selfies (has proved) to be so disastrous that during the year 2015 alone, there have been more deaths caused due to selfies than shark attacks all over the world,” the researchers said in a blog post. Three students in northern India died trying to take a daring selfie in front of an oncoming train, according to the study published last week. Another student lost his life when the cliff he was standing on for a photo cracked, sending him plunging 18 meters (60 feet) into a ravine. A selfie-taking Japanese tourist died after he slipped down the stairs at the Taj Mahal while seven people posing for a group selfie died when the boat they were in capsized. Pakistan took second place in the global killer-selfie rankings with nine deaths, followed by the United States with eight and Russia on six. 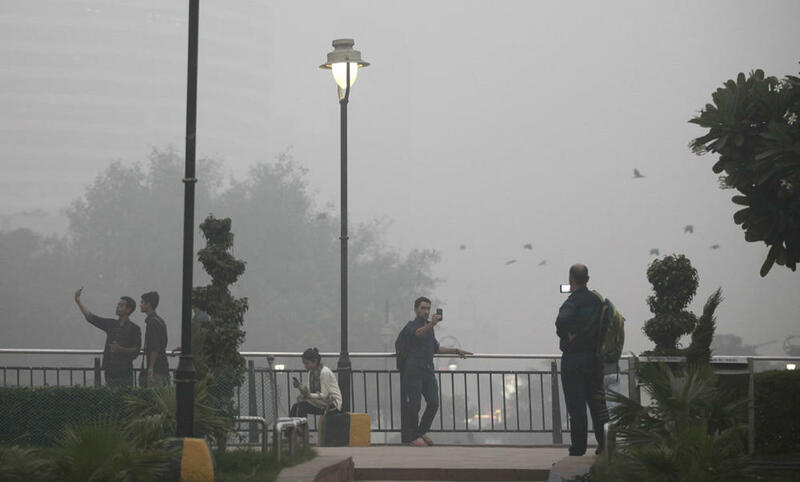 India’s population of 1.25 billion is nearly four times the size of the US’s and over six times the size of Pakistan, but that fails to account for the huge discrepancy between the number of fatalities. According to the study, China with its population of 1.37 billion only had four selfie-related deaths. The group behind the study hopes their work will raise awareness of the killer trend — and maybe encourage people to just appreciate the view. 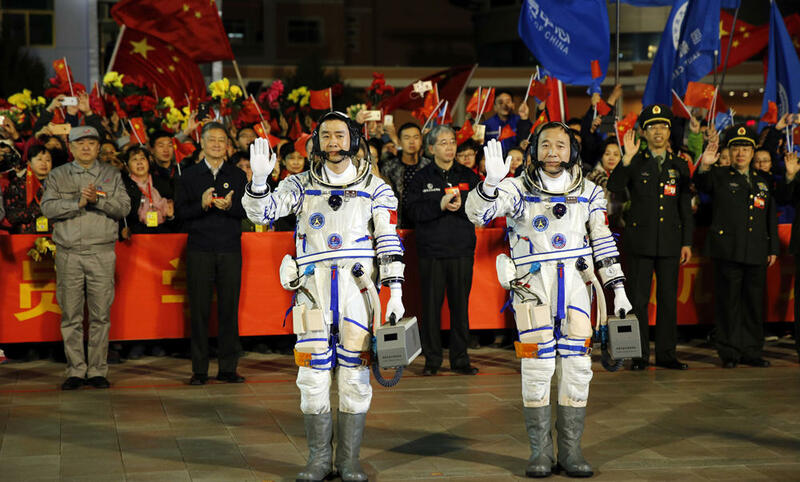 BEIJING: China’s Shenzhou-11 spacecraft returned to Earth Friday, bringing home two astronauts from the rising power’s longest-ever orbital mission, in a milestone for its vaulting ambitions. China’s state broadcaster CCTV showed the return capsule’s separation from the Tiangong-2 space lab 393 kilometers (244 miles) above the earth, and its descent through the atmosphere to its landing on the grassland of Inner Mongolia in the country’s north. After it landed, ground personnel rushed to plant two flapping red flags beside the capsule while observers applauded in China’s mission control. Beijing is pouring billions into its space program in a bid to catch up with the US and Europe. Beijing sees the military-run program as a symbol of China’s progress and a marker of its rising global stature. JEDDAH: Popular reality TV show ‘Arabs Got Talent’ (AGT) is finally back. For the first time ever, AGT will hold auditions in Jeddah, Saudi Arabia from Nov. 24-26. Lebanese singer Najwa Karam, who sits as a celebrity judge on the reality TV show’s judging panel, announced this week that Friday, Nov. 18, will mark the first day of shooting auditions for the music show’s fifth season. The auditions round will take place in several countries across the Middle East, where contestants will have to show some real talent if they’re to impress judges Saudi comedian Nasser A-Qasabi, Egyptian comedian actor Ahmed Helmy, Lebanese Group TV Director of MBC Ali Jaber, and of course Najwa, reported Al-Bawaba. The show produced by MBC was first broadcast in 2011. It features contestants with a variety of talents, such as singing, break-dancing, comedians, magicians and rapping. 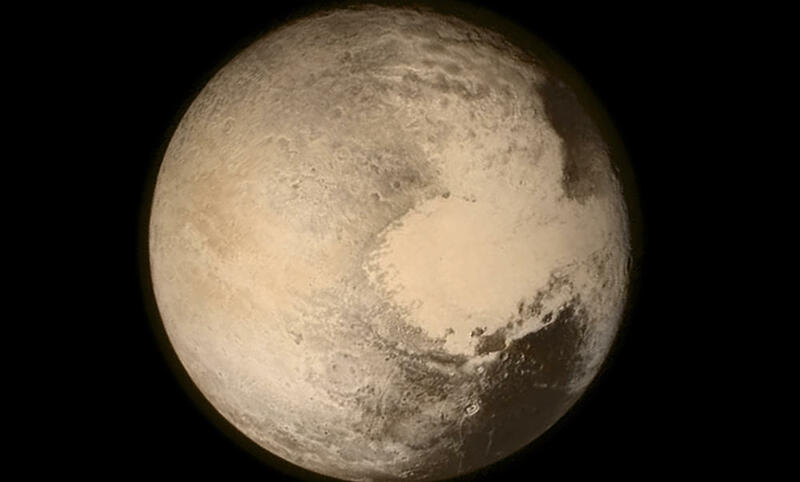 HOUSTON, United States: Scientists have found evidence that tiny, distant Pluto harbors a hidden ocean beneath the frozen surface of its heart-shaped central plain containing as much water as all of Earth’s seas. The finding, reported on Wednesday in two research papers published in the journal Nature, adds Pluto to a growing list of worlds in the solar system beyond Earth believed to have underground oceans, some of which potentially could be habitats for life. Pluto’s ocean, which is likely slushy with ice, lies 93 to 124 miles (150 to 200 km) beneath the dwarf planet’s icy surface and is about 62 miles (100 km) deep, planetary scientist Francis Nimmo of the University of California, Santa Cruz said in an interview. STOCKHOLM, Sweden: Music icon Bob Dylan will not attend the Nobel ceremony in December to accept his literature prize because he has “other commitments,” the Swedish Academy said on Wednesday. “The Swedish Academy received a personal letter from Bob Dylan yesterday where he explained that he could not make himself available in December and leave to Stockholm to accept the Nobel prize in literature,” it said in a statement. “He wishes that he could accept the award personally, but other commitments make it unfortunately impossible. He underlined that he feels incredibly honored by the Nobel prize,” it added. 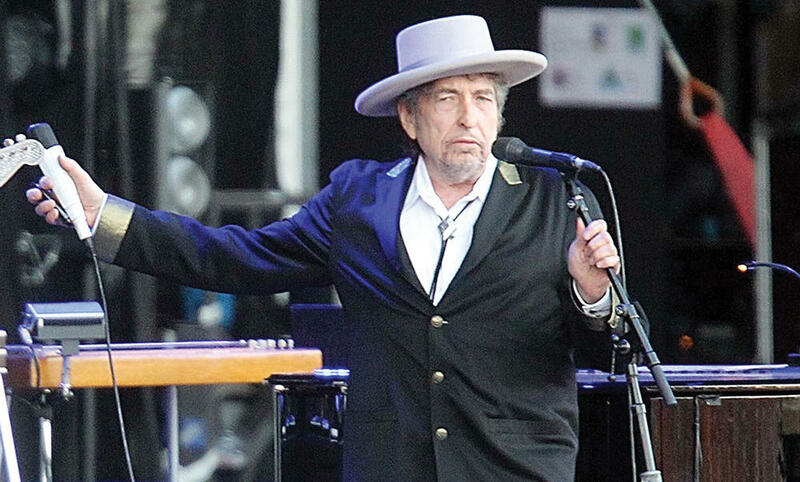 The Swedish Academy said it “respects Bob Dylan’s decision but added it is “unusual” for a Nobel laureate not to come to Stockholm to accept the award in person. Several other prize winners have skipped the Nobel ceremony in the past for various reasons — Doris Lessing, who was too old; Harold Pinter, because he was hospitalized, and Elfriede Jelinek, who has social phobia. “We look forward to Bob Dylan’s Nobel lecture, which he must carry out — it is the only requirement — within six months starting from December 10, 2016,” the academy said. The 75-year-old, whose lyrics have influenced generations of fans, is the first songwriter to win the literature prize. LONDON: The Oxford Dictionaries chose “post-truth” as their word of the year on Wednesday, saying its use had spiked because of the Brexit vote in Britain and the rise of Donald Trump in the United States. “Post-truth has gone from being a peripheral term to being a mainstay in political commentary,” the Oxford Dictionaries said in a statement, noting that usage had increased by 2,000 percent since last year. “It’s not surprising that our choice reflects a year dominated by highly-charged political and social discourse,” said Casper Grathwohl, president of Oxford Dictionaries. “Fuelled by the rise of social media as a news source and a growing distrust of facts offered up by the establishment, ‘post-truth’ as a concept has been finding its linguistic footing for some time. The runners-up for words of the year included the British term “Brexiteer” used for anti-EU advocates. Trump’s appointment of anti-establishment media firebrand Steve Bannon, seen as a leader of the “alt-right” movement, as his chief of staff earlier this week has proved highly controversial. The Oxford Dictionaries said the word “post-truth” had become “overwhelmingly” associated with politics. Charlotte Buxton, associate editor at Oxford Dictionaries, said the term “caught the public imagination” in Britain and the US, with social networks playing a key role. “It’s tied in quite closely with the social media world now and how people are accessing their news,” she told AFP. “I think it reflects a trend of how emotion and individual reactions are becoming more and more important. Social media networks, in particular Facebook, have come under fire since the US election for allowing “fake news” and misinformation to be widely shared. Google and Facebook responded to the criticism Tuesday by pledging to cut off advertising revenue to fake news sites which some claim influenced the US vote. The term “post-truth” is “reflective of the mood of the past 12 months,” said Buxton, but it has been around for some time. Oxford Dictionaries traced its first use to a 1992 essay by late Serbian-American playwright Steve Tesich in The Nation magazine about the Iran-Contra scandal and the Gulf War. “We, as a free people, have freely decided that we want to live in some post-truth world,” Tesich wrote. 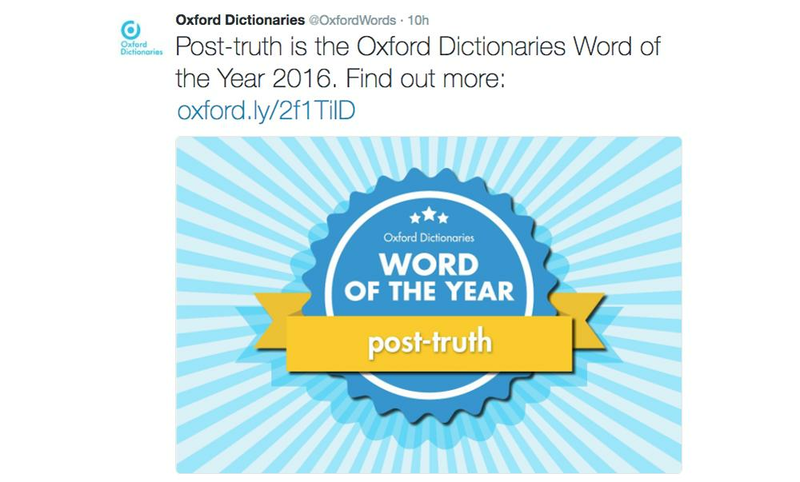 “There is evidence of the phrase ‘post-truth’ being used before Tesich’s article, but apparently with the transparent meaning ‘after the truth was known’ and not with the new implication that truth itself has become irrelevant,” Oxford Dictionaries said. EIN GEDI, Israel: A multinational group of swimmers swam seven hours through the salty, soupy waters of the Dead Sea on Tuesday in a bid to draw attention to the environmental degradation of the fabled lake. SAN FRANCISCO, United States: One of the world’s most popular means of communication, Facebook’s WhatsApp, is adding fully encrypted video calling to its messaging app on Monday, a move that comes as privacy advocates worry about the potential for stepped-up government surveillance under a Trump administration. Apple Inc. offers its FaceTime video calls to iPhone users, and Microsoft Corp’s Skype offers video calls on multiple platforms. But WhatsApp has built a massive installed base of mobile customers and has been steadily adding more features to what began as a simple chat applications. 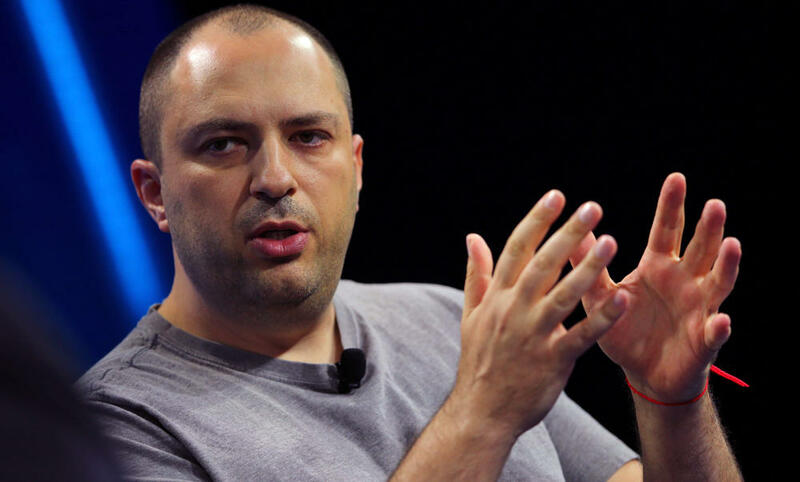 WhatsApp has operated with some autonomy since Facebook bought it in 2014. Koum and co-founder Brian Acton, longtime Yahoo engineers who started the company in 2009, now have 200 staff, mostly engineers and customer support, up from 50 when Facebook bought it. The video service is well integrated and adds a few twists. Users can move around the thumbnail video showing what their correspondent sees and flick a video call in progress to the side to minimize it while checking texts or e-mail. Koum said WhatsApp remained committed to security after the US election of Donald Trump as president last week heightened fears of increased surveillance.